For the first time, Israel's Defense Ministry publishes video of Israel's first-ever satellite launch, plus photos it took over Syria. Israel's Defense Ministry and Israel Aerospace Industries published for the first time a video of Israel's first-ever satellite launching into space. They also published some of the photos the satellite took while flying over enemy countries. The Ofek 1 satellite took off on September 19, 1988. It was a technological experiment intended to prove Israel's independence and space abilities. However, its launch was kept secret. 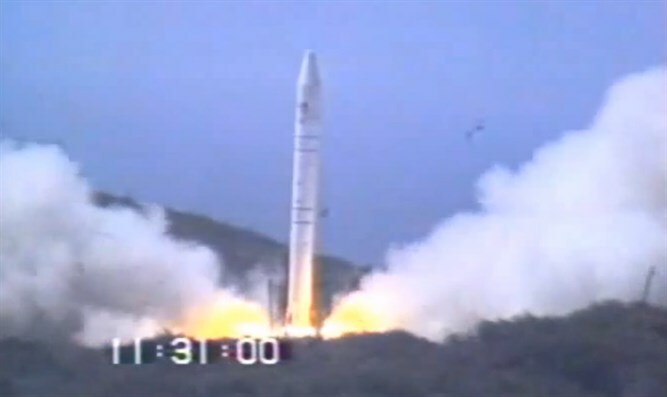 The development of Israel's satellites was intended to preserve Israel's advantage in the Middle East in terms of its abilities and intelligence. Since September 1988, dozens of Israeli-made satellites have been launched into space and serve Israel's defense, space, and science programs. Israel Aerospace Industries Deputy CEO Boaz Levy said, "Thanks to the organized program...run by the Defense Ministry, and together with the State of Israel's best brains, we have succeeded time and again in reaching outstanding technological achievements." "The necessity created by our geographic location led us to develop small, light satellites which can provide us with photos of amazing quality... Israel's space plan contributes not only to the country's security, it also contributes to the economy, since the space industry is a first-class technological catalyst. "Israel Aerospace Industries is proud to lead Israel's space activities and to break through the Earth's boundaries over and over again."